Home Drama ‘Good Manager’ KOONGMIN and SANGMI performing NANTA so well! The 3rd teaser clip of ‘Good Manager’ has recently been released. ‘Good Manager’ is expected to be a realistic and heartfelt mockumentary, winning the hearts of viewers across the world. 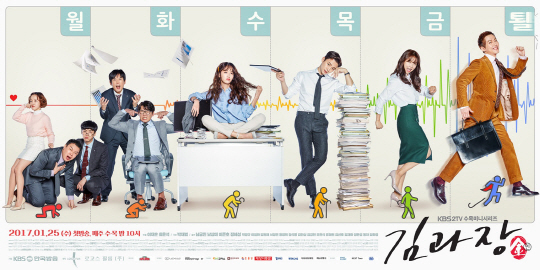 As seen from the clip, Nam Koongmin, Nam Sangmi, Lee Junho and Jeong Hyeseong are performing the non-verbal Nanta with their office materials. Expressing ‘the life of a business man’ with the exciting rhythm, they play in perfect time. More details about the characters will be updated today! Please check out its page!